Camarillo CA is an old community steeped in tradition. Much of the land is permanently zoned for agricultural use, allowing this city to retain its rural feel even when most other communities have become thoroughly suburban or urban. Camarillo CA’s motto is “Las Personas son la Ciudad” (the people are the city). The fact that this motto is in Spanish is further evidence of the commitment to tradition, as Camarillo CA was founded by two Hispanic brothers before California was even a state. Even in Camarillo CA, however, there are some historical traditions that shouldn’t be followed. For example, restaurant owners and operators need to use new technology to prevent fires rather than relying on the old ways. Flue Steam can help. 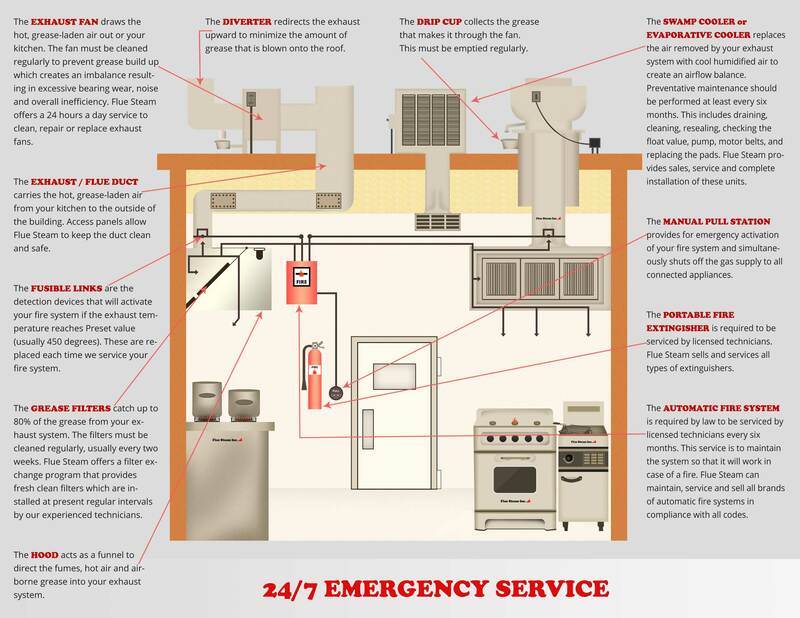 We provide complete service for all your kitchen air control and fire suppression needs, including kitchen exhaust system steam cleaning and automatic fire suppression system installation and maintenance.